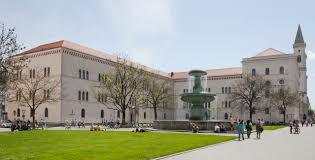 Ludwig-Maximilians-Universität München – is a renowned university found in the heart of Munich and recognized as one of Europe’s premier academic and research institutions. Founded sometime in 1472, LMU continues to attract talented and inspiring students from all over the world, keeping the University at the nexus of ideas that challenge and change our complex world. Above all Tuition is free for both local and international students. International applicants will have to submit certified copies of their school results, police & medical report and school certificates. Certification of documents have to be carried out by the following organizations viz: German embassies and consulates. The school or university which has issued the certificates. Educational institutions are expected to certify copies of their own certificates. In that case, the certified copies should bear the official seal of the Head of School or of the Dean or President of the University. Certification by the administration office is not sufficient. A notary who applies the postal stamp to the copies. (1) Submit a letter of finances to the German consulate or embassy. You can conveniently obtain this sponsor letter from your parents or a German relative who is able to sponsor your program in Germany. 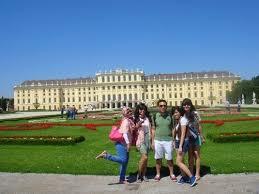 (2) Open a German blocked account and deposit 7000 euro. You can only do this once you’ve received your letter of admission. This blocked account is opened in the German embassy. Note that you will be required to have photocopies of all these documents, get proper insurance and pay an application fee of 60 Euros for the visa. Where and how to apply for a student visa? To apply for a visa, you’ll be expected to apply at your home country’s nearest German Embassy. Except in rare circumstances where you’ll have someone else submit a visa application and the required documents on your behalf. It is highly recommended that prospective students apply for a student visa well in advance before their departure date because student visa application can take up to 25 processing days.